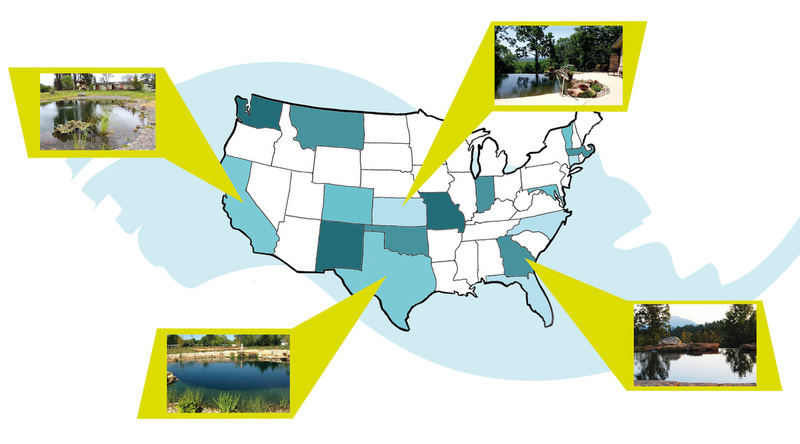 FAQ: Do Natural Swimming Pools work in Warm Climates? Our NSP's are in all of the states shaded blue above! Do our NSP's work in Texas, Oklahoma, New Mexico, Florida, Georgia, North Carolina, Maryland, California? You bet!